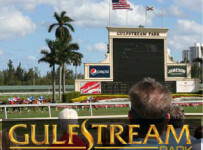 A trio of maiden special weight races for 2-year-old are major attractions at Gulfstream Park on Friday. 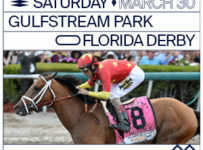 First post is 1:15 p.m. for the eight-race card. 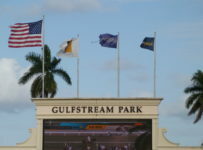 As of 10:22 a.m. the dirt track and turf course were both listed as good, following heavy rain on Wednesday and Thursday. 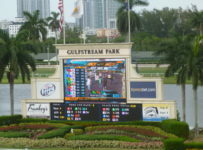 The first, fourth and eighth races are scheduled for turf. The weather forecast for South Florida is for heavy thunderstorms beginning in mid-afternoon. 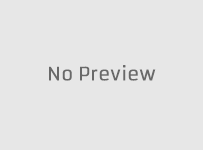 We will have updates and coverage on our blog. 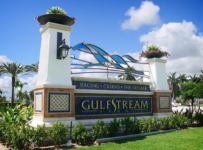 There was just one winning ticket on the Rainbow 6 at Gulfstream Park on Thursday, and it received a jackpot payoff of $24,629.50. 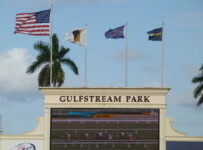 There were six live tickets going into the eighth and final race. Only one of those tickets had Great Euphrates, the horse that won the race at 12-1 odds. 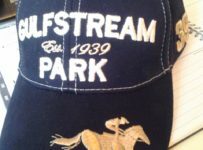 Gulfstream will have a new pool on Friday in the Rainbow 6. 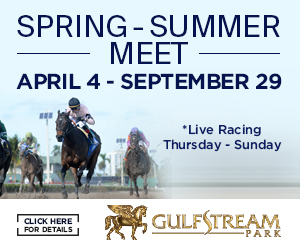 The 20-cents per combination bet will be on races three through eight. 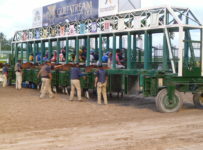 On Friday’s first race there will be a Super Hi 5 carryover of $1,685.30. 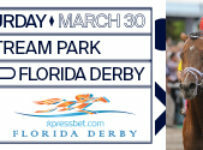 The bet requires picking a race’s first five finishers in correct order. 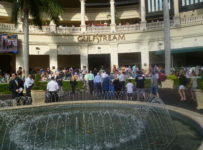 There were no winning tickets in Thursday’s eighth and final race—thus leading to the carryover. 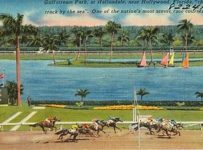 On Saturday, Gulfstream will have the $75,000 Christmas Past Stakes at 1 1/16 miles on turf for 3-YO fillies that have never won a stakes. There are eleven entrants, all set to run if the race stays on turf. 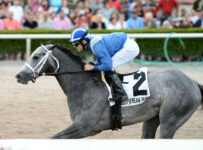 Temple Fur, coming off a two-race win streak at Gulfstream, and Sharp Kitten, a recent impressive maiden winner at Gulfstream, are among likely favorites. 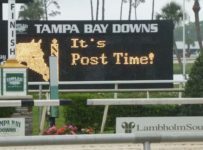 The Christmas Past is the ninth race with scheduled post of 5:24 p.m.